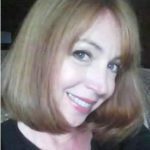 Mary Fetzer is a professional freelance writer, with 10 years of experience writing articles, blog posts, and press releases covering an enormous range of topics, ranging from personal finance and international trade to pregnancy and senior living. Mary also writes about legal issues on the AvvoStories blog. Avvo helps people find and connect with the right lawyer, with a free Q&A forum and on-demand legal services that provide professional counsel for a fixed cost.